Die Pressefreiheit ist in Gefahr, wenn Journalist/innen in Deutschland dafür verklagt werden, dass sie vertrauliche Unterlagen des Verfassungsschutzes veröffentlichen und Misstände aufdecken. Genau dies haben die Blogger von Netzpolitik.org, Markus Beckedahl und Andre Meister getan. Jetzt ermittelt der Generalbundesanwalt gegen beide wegen Landesverrats. Diese Ermittlungen müssen gestoppt werden! Für morgen ruft die Redaktion von Netzpolitik.org die Menschen zu einer Demo auf die Straße:für die Pressefreiheit, die Einstellung der Ermittlungen und die Aufklärung der Geheimdienst-Skandale. Die Demoroute führt zum Justizministerium in der Mohrenstraße. Die Redakteur/innen des Blogs Netzpolitik.org veröffentlichen regelmäßig vertrauliche Dokumente. Sie decken auf, wie deutsche Geheimdienste zusammen mit der NSA Grundrechte verletzen. Die Redaktion von Netzpolitik.org hat 2014 den renommierten Grimme-Award für Recherchen über Geheimdienste bekommen. Markus Beckedahl und Andre Meister drohen bei einer Verurteilung wegen Landesverrats mehrere Jahre Haft. Wir dürfen nicht zulassen, dass die Geheimdienste mit diesem dreisten Einschüchterungsversuch durchkommen. Demokratie braucht mutige Menschen, die Machtmissbrauch durch Staat und Mächtige an die Öffentlichkeit bringen. Gemeinsam stärken wir daher den beiden Journalisten den Rücken. Ich würde mich freuen, Sie morgen auf der Demonstration zu treffen. Diese wird nicht von Campact organisiert, wir weisen aber alle Berliner Campact-Aktiven auf sie hin. PS: Innerhalb von 24 Stunden für eine Demonstration zu mobilisieren ist eine große Herausforderung. Leiten Sie daher diese Mail an Freund/innen und Bekannte weiter! Aktuell, kritisch, aktiv! Mischen Sie sich ein und gestalten Sie Politik! Nirgendwo geht das so umfassend und schnell wie bei uns. 1.739.281 Menschen sind schon dabei. Innerhalb weniger Minuten verleiht Campact Ihnen eine Stimme! So much is taking place behind the scenes. Our collective positive energies are needed to tip the scales bringing in the changes we all desire. Join us as we create a tapestry of Light with our collective, loving intention. PAO’s webinars are designed so you receive the information on many levels….they are multidimensional in nature. The Galactic Federation will be blessing us with an activating transmission thru Sheldan’s presentation. Join us! As the GF tunes in to our collective needs, Sheldan will translate their message to us. Usually, when PAO prepares a Webinar, we know in advance what the topics will be. But in July’s unique Live Webinar, for the very first time, the Galactic Federation will transmit to Sheldan, instantaneously, a fluid Galactic report on our progress. We will learn how our light body integrations are being accelerated, and be given new information on the abundance program. Everything else will be a surprise! PAO offers the same webinar presentation on two different dates and times to cover as many time zones as possible. Since October 2003, when Archangel Uriel first contacted me, I have had a constant connection with this energy. It isn’t something I can turn on or off, it’s always there. Not in an intrusive way, but in a way that has simply become another dimension of my energy aspects. So when I’m asked whether it’s me or Uriel who answers a question, I can’t answer that because it’s both and it’s neither, and it’s the wrong question because it cannot be answered that simply. We all have the ability to connect with angels, guides, and any other energy in the Universe, when we choose to and when we do, the result is an expansion of ‘us’ as human and spiritual. So why is asking whether it’s you or your guides the wrong question? Because the question assumes that you are separate from your angels, guides, and any energy you work with and that cannot happen. It is through your particular energetic frequency that they connect with you and that is where you share an energetic resonance. Remember they exist at all levels, so every person’s connection with their angels and guides is individual and personal. Their energy also integrates with yours so there is a seamless interaction between you and them. Is it you or them when you get an answer? It’s both because you provide them with the energy container they need to access the earth’s dimension, as a physical being, and they connect you with your higher aspects, as an expression of your energy in the higher frequencies of spirit. We’re all one and part of the One, so there cannot be any separation between us and any other being, physical or otherwise, in the universe. Never think that you are ‘less than’ any energy in the Universe because you are not. You are a spark of Divine Light, a ‘piece’ of God/Source light and energy so you are on the same level as every other ‘thing’ in the universe. How you express and use that energy is your choice — but whether you use or acknowledge it or not, you are as Divine as anything else in the Universe. What if you don’t want this connection or see it as too much of a responsibility? You don’t have to do anything with it, if you don’t want to. You can also use it in your personal life and don’t have to share it with anyone. Remember that at first I didn’t want to work with Uriel, I had other things to do with my life, so I thought, like being in the corporate world, managing an IT division in a large corporation. Connecting with an archangel wasn’t part of that plan, although I have been intuitive all of my life. Now that energy is so familiar to me that I cannot imagine my life without it but the connection I have is possible because of my energetic frequency, and you have that potential too, and you can use it in any way you wish. And sharing it on a global level is part of my life path, it may not be part of yours. That’s something you will have to explore with your guides and angels. What about the people who are already channeling these energies, like Archangel Michael, can you connect with them too? Several years ago I was accosted by someone who claimed to be the ‘only’ channel for Uriel, and that I didn’t have permission to connect with this energy. I knew that was impossible because I had already been working with Uriel for 10 years, and further, that there is no single channel for any energy, there are multiple channels who each connect according to their individual frequency. 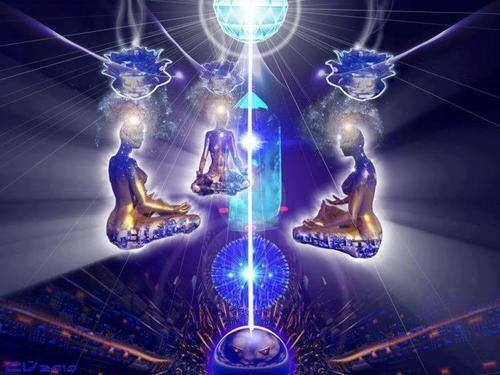 No one can claim to be the ‘only’ channel for any energy because these are universal energies and are very expansive, existing at an unlimited array of frequencies, so they can connect with everyone. We each pick up on the energetic frequencies that we can connect with. That’s why any energy can have many different channelers, they’re all picking up a different expression of that energy, at their own frequency. Everyone has these connections, and they are only effective when we use them. Archangel Uriel says, ‘Participation in the 3rd dimension is by invitation only,’ which means that if you don’t invite your spiritual connections into your life, they cannot connect with you and offer the support and guidance they have for your journey. You’re the one who is here, doing the heavy lifting, they are there to help you remember all of the power and knowledge that you forgot, as part of your being here. They are your support team, let them support you. And if you’re wondering whether information comes from you or your guides ~~ remember it’s all the same energy. So trust yourself and if it feels good to you and you aren’t afraid, you can trust the information. With practice it becomes much easier to feel, recognize, and feel comfortable with the guidance you receive, and you’ll be able to automatically use it in every situation. Every few years there is a second full moon in a calendar month, often called a “Blue Moon.” The three days before and after any full moon are often emotionally charged time periods for many people. The full moon energy is actually neutral; it can amplify whatever we experience, such as our moods, attitudes, happiness or unhappiness, etc. This neutral energy can be used to ground and support our commitments to change old habits and mindsets that don’t serve our aim to become our best. When we are in our heart, the full moon energy can be used to amplify our compassion and care for all who are experiencing pain and hardships, especially through the global changes. As we consciously utilize the full moon energy to attune to these natural benefits, we greatly facilitate personal and global forward movement. These are primary reasons that the GCI Care Focus timing is aligned with the full moon energies. Let’s use this second July full moon energy to ramp up our personal commitments for self-transformation and to blanket the planet with love and compassion for those in need, as we are all connected. 1. Focus in the heart and breathe love to someone, a pet or something we care about. This warms up our heart vibration which increases the effectiveness of the Care Focus. 2. From a place of inner stillness, radiate compassion for a while to the millions of people who are suffering hardships from the rapid changes throughout the globe. Compassion is our largest contribution in this transitional global moment. 4. Now radiate love and compassion to situations that are personally close to your heart for whatever reasons. Don’t forget to have compassion for yourself when needed. This is intelligent self-care. Dratzo! Much is happening! The various processes chosen by our earthly allies have received working schedules. As usual, a set committee meets at infrequent times with the dark cabal. In these meetings, our earthly allies provide the dark’s emissaries with a series of ultimatums. These ultimatums are usually based upon a series of legal decisions that prove the dark is basically bankrupt and lacks its own „oomph“ to carry out senseless military actions. In short, world opinion is turning solidly against them. The ancient families in particular possess formal IOUs, which have the power to prove the utter weakness of the dark’s fiat monetary system. The dark realizes just how fragile their position is. The end time for this cabal draws ever closer. 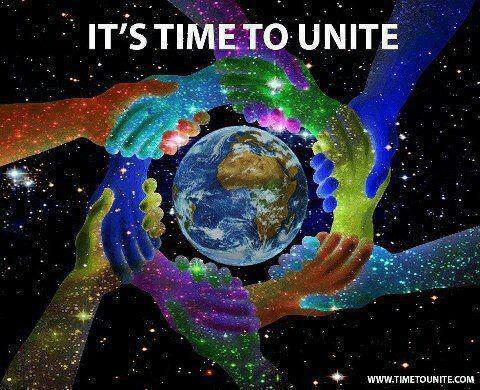 The ancient families wish to create not only a new system, but as well to create global conditions for the new consciousness to grow and flourish. We constantly remind them that the poor masses of humanity that cover this globe are dying and in pain. Their reply to us is that a process for change is under way and gaining momentum. There is to be a time for everything. We reply that Heaven as well has a most glorious agenda! As consciousness grows, you begin to see how this realm can be changed. The ancient families work partially within the context of the old reality. Something new is needed that can quickly transform these millennia-old predicaments. We believe that a transparent and powerful movement can work to swiftly alter this realm. We have been suggesting this for years. Small groups intent on improving local conditions have popped up all over your globe. These tiny movements are gradually consolidating what is needed as major groups come together and create networks with power. In other words, to do this with powerful benefactors who use their wealth to advance these numerous projects. To us, this is a more acceptable way. 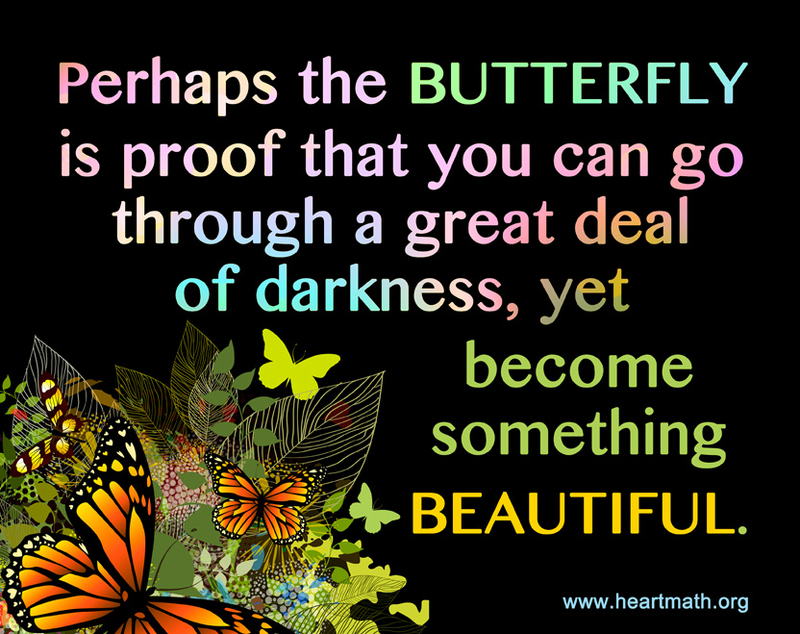 The dark can then attempt to interfere. Let them, and use it to advance the power of this cause. Their corrupt methods have only led to a true “quiet revolution”. This needed to be done a half decade ago. The result of this growing consciousness can then oust these scalawags from power. The results are the same within a much smaller timeframe. Release Activists Who Tried to Save Faroe Island Dolphins! 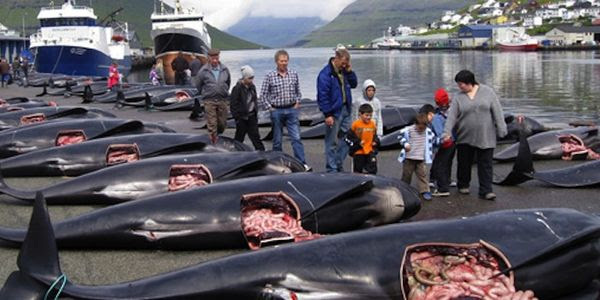 On July 23, hundreds of pilot whales were slaughtered off the coast of the Faroe Islands near Denmark. 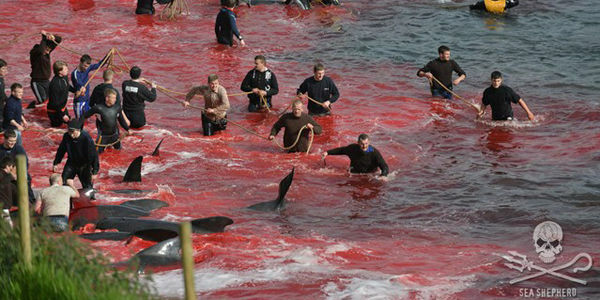 This horrific mass slaughter literally turned the ocean red, and was a spectacle for Danish children and adults to behold, as the intelligent creatures were turned out onto the beaches with their intestines hanging out. Please sign this petition demanding that the Danish government release the captured activists and drop all charges immediately. Image Credit: Thanks to Pablo Stanley for this amazing comic strip! July 23rd, 2015Beloved ones, as you become empty vessels for the light of God that never fails the crystalline Light of the Christ will shower through you, washing the last vestiges of the old energy from your physical, emotional and mental bodies. This takes time. These old accumulations have been set in their old ways for a very long time and cannot be expected to be disbursed of in an instant. It all takes patience, clearing and cleansing before the new energies can fully anchor within your being. As they do and the old is cleared away you will feel the extreme need to rest and take it easy. Your energies will be very focused within and it is imperative that you honor these cycles of rest that are greatly needed for the integration of all that is being released and received at the same time.There is a huge changing of the guard at hand. All aspects of your being are being revamped and renewed and it is to be expected that you will feel tired and in need of lots of rest. Your emotions may be dulled as you are integrating new ways of being. Nothing feels the same any longer and you may wonder: “What is wrong with me?” We tell you, nothing is wrong with you. 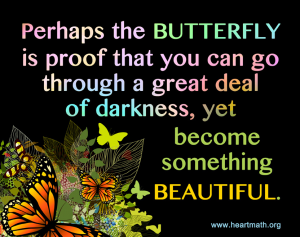 You are just going through a huge transition and metamorphosis of your whole being. You may feel strange as you have never been in this exact situation before. As you gradually acclimatize to this new energy and the new way of being you will find that your energy, love and joy return in a far greater fullness than ever before. You are once again in the midst of a deep reconstruction period and we advise you sincerely to take our message to heart and give yourselves the time you need to rest and integrate. Cancel unnecessary appointments and honor yourself with love and compassion for the journey you are on is great. Expanded versions of yourselves are already adjusting to this new found you and as the body catches up you will begin to feel you are aligned and in sync with one another once again. The cogs are not quite fitting one another yet, hence the feelings you may have about being out of sync with yourself!!! It is not surprising, but just a part of the totally divine process you are in the midst of. Focus on the higher part of yourself as you rest and ask for clarity, balance and harmony to return to your physical bodies. Ask for assistance from your Higher Selves, ask for all the help you need in this process. We are here to make life easier if we can, but you have to do your part and connect with the energies that can facilitate your integration. Ask and you shall receive. If you are silent you will struggle alone. This is a gentle reminder to use us and the gifts we bring beloveds.There is a huge vortex of energy and light sweeping your planet right now. As this force field of intense energy and light sweeps in, through and around you taking with it the last vestiges of the old earth and patterns of destruction, you are bound to feel like everything is stirred up and intensified – and so it is. As you sweep away the dirt some is stirred up into the atmosphere before it settles again upon the ground. The same is taking place around you. Everything is in clean up mode. There is not one soul who is left unperturbed by these energies. It affects all and there is nothing you can do but just allow this whirlwind of energy to sweep you clean and be grateful that it is, as you will no longer need to carry those old outworn and extremely old patterns or emotions around with you. So much is happening, beloveds, you would be hard-fetched to not be affected by these enormous changes. There is no other way for the new to be able to come until the old is completely cleaned up, and as you know, there is still an intense amount to be cleared. Thus your lack of enthusiasm for life at the moment, but it will return with new born zest and vigor to embrace and begin manifesting the new. Wait a while before bringing in the patterns of perfection in to such distortion as they will be watered down and will not be able to come into their full effectiveness until the time is ripe. Hold the seeds of Light in your hearts beloveds. Hold dear to your dreams for a peaceful future and it will be so. We bid you farewell until we meet again next week. Keep on, my brave warriors of the Light – in thee we are well pleased, your beloved brethren from the Heavens and the Inner Earth. We love you beyond measure dear sisters and brothers of the Light. You create your reality moment by moment by moment by moment. Most of the time you go about your day to days and indeed you do not really know how you create the reality, how you create the seemingly random events that occur in your life. However you do create them. You create them by the very fabric of your being. What are you really? You are a grand body of electromagnetic energy. Now, that electromagnetic energy is given forth not only from your cellular structure but also from your emotional body. Your e-motion is the Power-Sourceness of you. That energy called e-motion is so extraordinary, containing more power than all of the atomic energy upon your plane. Now your thoughts also go out in electromagnetic waves, so to speak. Your thoughts do not even exist in your mind. Really, they do not. We know that that is how you have been raised to think, that when you think, the thoughts are in your head and belong to nobody else. Wrong. The thoughts do not exist in your head. Your thoughts are electro-magnetic waves that go forth into the Universe. Those thoughts may indeed be attached by that electro-magnetic energy called e-motion because that indeed is the power sourceness of you. Your beliefs and your ideas about reality, attached by the e-motions that these thoughts engender, bring forth to you that which is termed “like energy.” So what you create in your life is a reflection of who you think you are because nothing exists in your life that is not simply a reflection to you. Until you can come to the joy and fulfillment of this life, loving your exquisite planet, healing the anguished heart, aligning the fears that keep you imprisoned, living in the excitement and fullness of each moment without a past or future, this dimension is all you can know, there is no escape. That is the dichotomy: As you live in the joy and harmony of this life experience without desiring any other, you automatically create the space to experience the expanded reality called fourth density, called Ascension, called Oneness.